Visual content dominates the social media landscape. Stand out and connect with your audience by conveying your brand through images. What is a social media snapshot? Social media snapshots are visual elements designed to accompany and expand upon social content. You’ve seen these on every social channel—photos paired with text posts to support and help communicate specific messages. Social snapshots can even contain text to emphasize and highlight important information. To build brand awareness and increase engagement, you need to think beyond the basic stock photo. You need to develop a strategy. Each social channel has its own specifications for image sizes and dimensions. If your photos aren’t properly sized, they can appear oddly cropped, causing your audience to miss out on vital information (just like in the example below). The image on the right displays perfectly, whereas the photo on the left gets cut off because it’s not properly sized for Twitter. Remember, images appear differently on mobile devices than they do on desktops. Bookmark this frequently updated social media image guide so your photos are always optimized for every social channel, on every device. Even though Twitter’s character limit has doubled to 280, it still isn’t that much room. A social snapshot can help extend your content past the restricted text space. Other social media channels have various character limits, but what remains consistent across each platform is the importance of visuals and how they help communicate ideas. 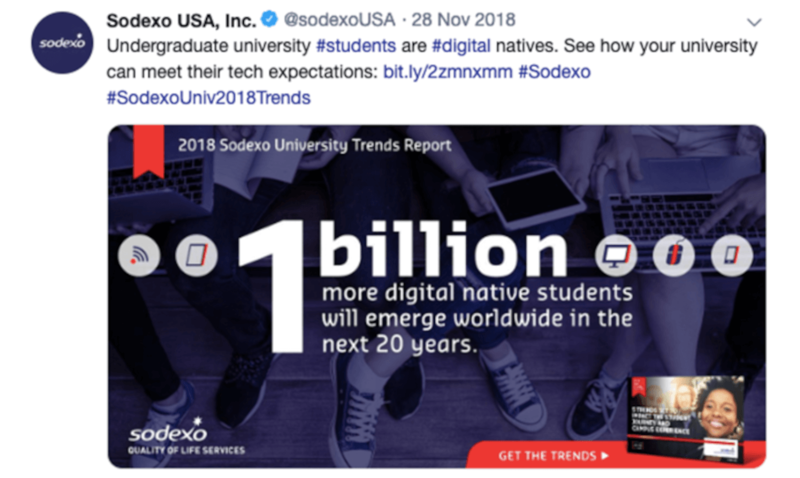 The tweet is short and sweet, and the snapshot further promotes Sodexo’s 2018 Global Universities Trends Report with an eye-catching statistic. Your social snapshot will depend on the type of content you’re promoting; whether it’s a blog post, an article, or a product, you can easily extend your content with images. Differentiate your social media snapshots from your competition to make your company stand out among all the online noise. Always keep the subject of your post in mind when selecting an image. Stock photos are often the only approved source of imagery for many organizations, but that doesn’t mean you can’t get creative with your visuals. Imagine your audience is scrolling through their newsfeed during their work commute. Which post would stand out and grab their attention, the one on the left or the right? You guessed it—the post on the right. Why? It has a snapshot with text to enhance the message and stands out among posts that lack visuals. The post on the left is text-heavy and, even though it’s 280 characters, it feels a slog to read. Images that receive high engagement on Facebook tend to be bright, clear, and lively. Tweets with images receive 150% more retweets. Plus, when you add an image to your post, people’s retention rates jump from 10% to 65%. How’s that for standing out? When choosing images for posts, remember to maintain a consistent look and feel. Keeping them in brand helps bolster company recognition. Use brand colors, correct fonts, and your company logo to make your content distinguishable. And always use images that fit your brand’s style, voice, and mood. Below is an example of brand consistency from our client Sodexo. Sodexo is successful in maintaining brand consistency by using the same logo, colors, and fonts throughout their social feed. Bright text and red banners work well for their distinct brand. What works best for your company? Charts and infographics? Iconography and illustrations? Stock photos and GIFs? Whichever you choose, remember to keep your audience in mind so that your social snapshots stay relevant to them. Maybe you don’t use an image at all. Think outside the box and use a different type of visual, such as a poll, video, or SlideShare presentation. Post a poll on Twitter or Facebook to encourage people to express their opinions and engage in an online conversation. 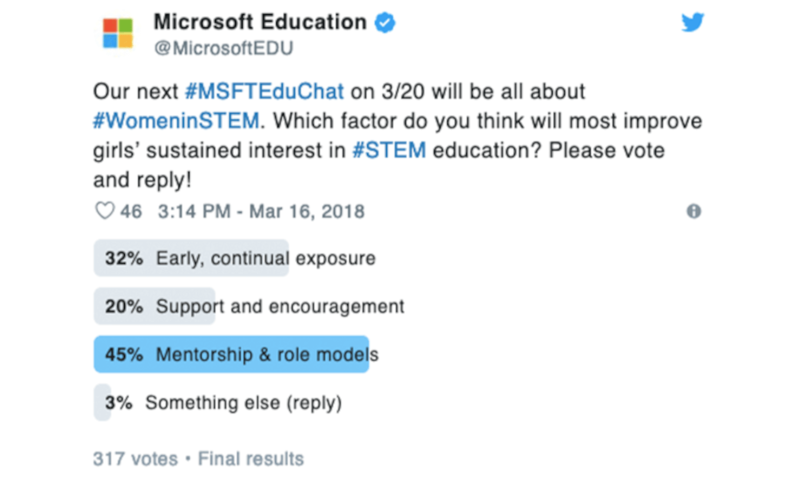 A poll is an opportunity to boost audience interaction, whether its purpose is to educate, conduct research, or simply entertain your followers. Haven’t added videos into your social media strategy yet? Well, it’s time to start. Video content has exploded over the past few years—Facebook gets over 8 billion video views per day. Video tweets attract 10x more engagements than regular tweets. By adding videos to your social posts, you can significantly increase engagement and drive channel growth. SlideShare presentations may be limited to LinkedIn (for now), but that doesn’t mean they can’t increase your B2B visibility. SlideShare is great for presenting high-quality content and providing value to your audience. Create an eye-catching (and brand-compliant) cover slide and stop those frantic scrollers in their tracks. Check out this marketer’s guide to learn how to use SlideShare for social media. There’s no doubt that visuals help content stand out and boost engagement. Social snapshots are a core component of successful social media strategies. Look for patterns and trends across social networks to identify which snapshots are successful for your company and what type of content provides the most business value.